The night began with the early-comers grabbing drinks from our ready-and-waiting bar staff, and taking to their seats. 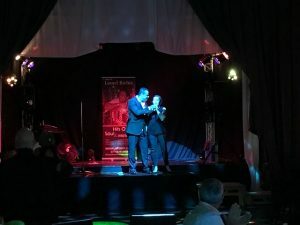 With the room filled, our Lionel (tribute artist Jason Nembhard) took to the stage just after 9pm. Kicking off with the sing-along classic ‘Hello’, what followed for his first hour set was a slew of the greatest hits, covering his illustrious solo career and his time with The Commodores. All the classics, from ‘Easy’, to ‘Dancing On The Ceiling’, with a bit of ‘Three Times A Lady’ as a fantastic encore. One of our audience members even found their self up on stage for a duet of ‘Endless Love’! 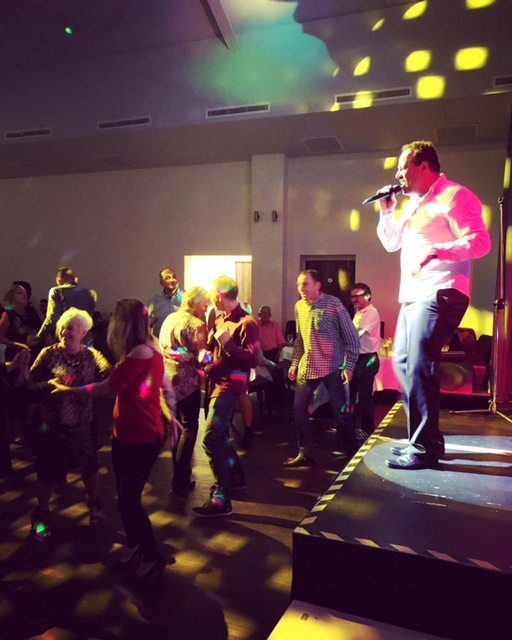 Our DJ, Mark Burrows took over during a quick interval and played a great mix of songs from across the 80s and 90s, before Jason was back for round 2. 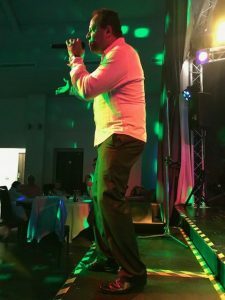 For his second set, he dropped his Lionel disguise to treat the crowd to a variety of hits from across the years and genres, including Bob Marley and even some Peter Andre! The set went down a storm, with something for everybody to enjoy. The audience continued dancing ‘all night long’ into the wee hours as our disco continued to finish the night. A great night had by all, thank you to all who came and partied with us!